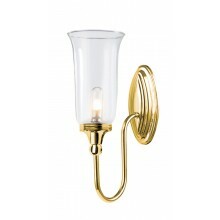 This product is a single light wall light with a vintage flair and a unique look. Its design consists of a simple oval shaped wall mount and long, deeply curved arm holding a large clear glass, which contains a single 40w light. The fixture is set in a polished nickel finish for a clean, bright, silvery appearance. 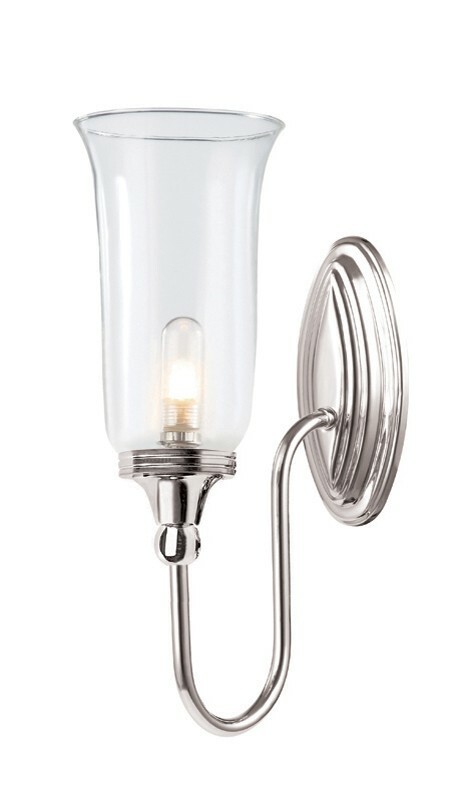 This fixture is perfect for use in a bathroom and will provide a clean, fresh look and an inviting atmosphere and is also IP44 rated.